This gem is just minutes away from Old Town Arvada with all the charm of a 1950's ranch. With a large living room, generous sized bedrooms, a huge back yard this home is sure to please. 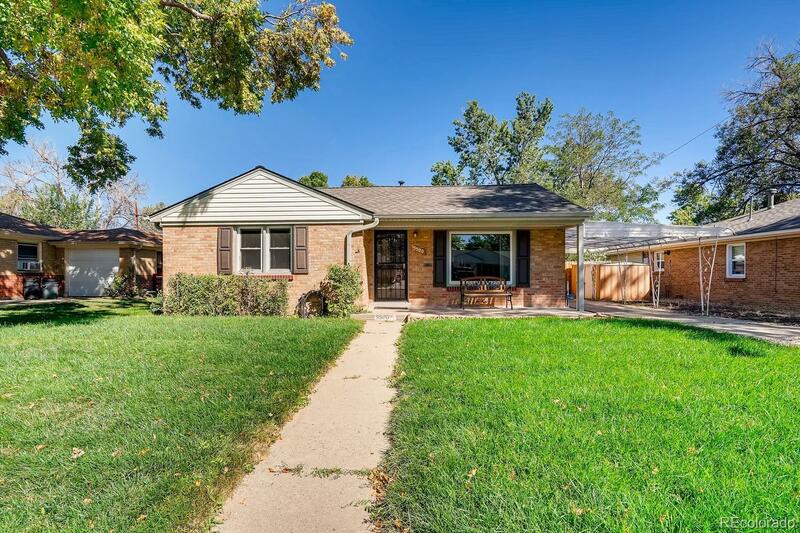 Step inside and feel the warmth with new carpet and paint, a new roof, updated windows, granite counters in the kitchen, covered patio, tuff shed, updated electrical and all appliances - what more could you ask for!?? Wood floors are under the carpet if that's your taste.